Recently, I’ve shared some of the best stock simulator apps where you could learn and get started with stock market without actually spending any money. Once you’ve learned enough or if you are already into real trading. 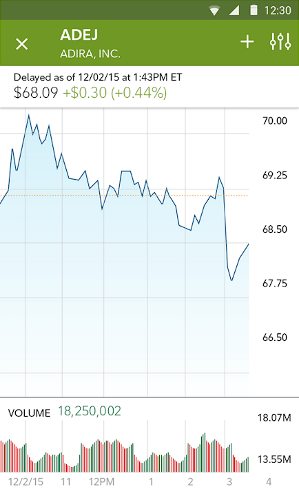 However, there are heaps of stock market apps out there and find a right one for you, is that easy. 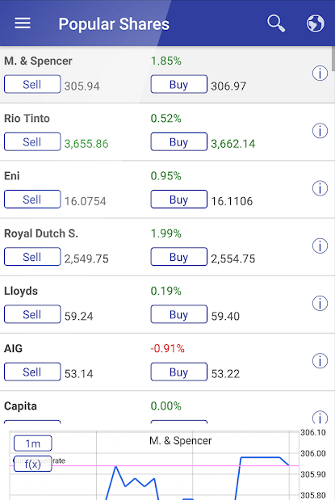 So, whether you ‘just want to set it and forget it‘ or ‘want to invest more actively‘; here are some of the best stock market apps you can use to buy, sell and manage stocks and other instruments on the go. 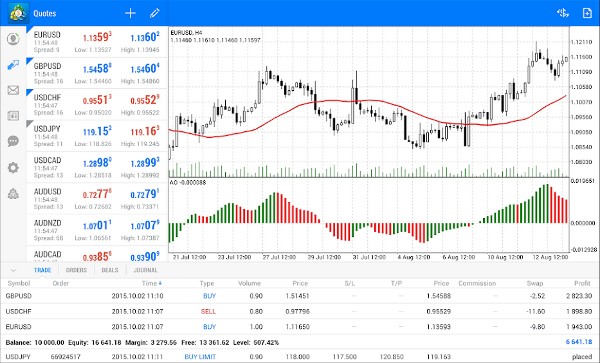 MetaTrader5 is a free Android and iOS app that lets you invest and trade a variety of instruments like stock, options, forex symbols, and CFDs. It’s mainly designed for intermediate to professional stock traders who want access to trading and real-time information on the go. Using MetaTrader5, you can access hundreds of traders, real-time stock information and quotes, and Level 2 stock quotes. 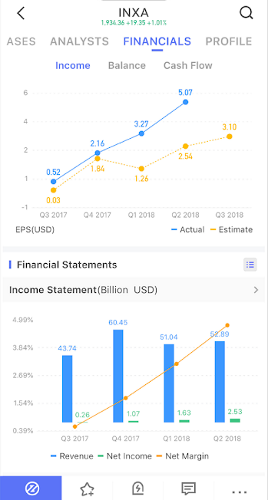 One of the best things about the app is that it is quite easy to switch between different instruments and get detailed charts and analysis of your investments. 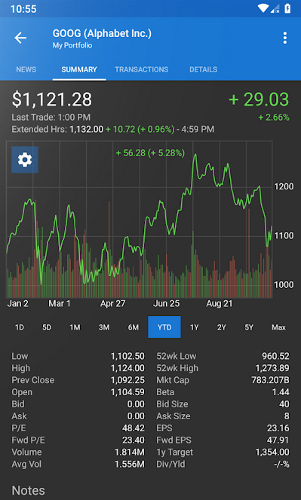 Other features of the app include a built-in news feed, nine different timeframes, 20+ analytical objects for comprehensive analysis of your portfolio, trading history, and real-time charts and quotes. NetDania is one of the highly rated and popular stock trading apps that support 1000s of financial instruments and cryptocurrency like Bitcoin. Apart from letting you trade various financial instruments, NetDania also gives you ideas, insight, and strategies to target, limit, and stop the real-time trade. The detailed charts help you get a good idea of the trends and the news section will help you in deciding when and what to trade. When using NetDania, you can create demo trading account if want to test the water before diving. You can also sync your portfolio to NetDania desktop application for cross-platform compatibility. Features of NetDania include the real-time dollar, oil, and gold index, global overview, real-time tick by tick quotes, low latency Interbank FX rates, a customizable menu interface for quick actions, ability to create an unlimited number of watchlists, etc. Price: The app is free. Contains ads and in-app purchases. Webull is one of the good-looking and beginner friendly apps with a ton of tools that helps you better analyze and trade stocks in real-time. You can create your own personalized portfolio with all your holdings and create custom alerts and notes to keep track of things. Just like with NetDania, Webull includes 20+ technical indicators in its candlestick charting for professional level analysis. 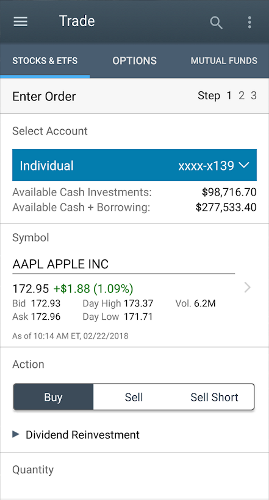 From within the app, you can keep track of global news and other events, including from social media sources so that you will have a better understanding of your stock performance. If you are a US citizen, you can get a free share of stock when you refer a friend or open a brokerage account. 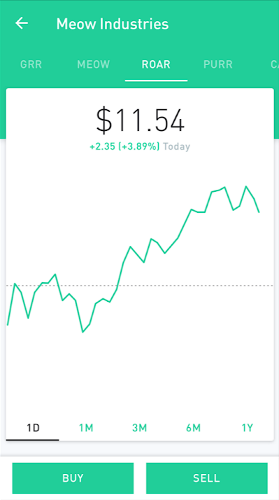 Robinhood is another beautifully designed app and makes it easy to trade stocks in the stock market. What makes Robinhood special is that you can invest in stocks, options, ETFs, etc., commission free. In fact, there is no maintenance fee or minimum investment limitations. You get comprehensive reports and information on stocks and other financial instruments in a single place so that you can invest wisely. Of course, there is also a dedicated market updates section to get a quick view at global events. The other really good feature is, as long as you deposit under $1000, your funds will be added instantly to your account so that you can trade the instant you get a good deal. 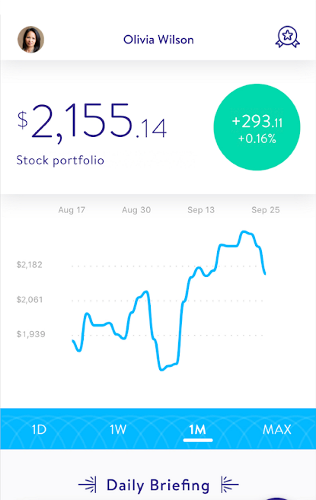 Fidelity Investment is a full-featured app that not only lets you trade stocks but also lets you manage your money, pay bills, transfers, and deposit checks when needed. The user interface has a friendly navigation and customizable alerts. Using the customizable feed feature in Fidelity Investments app, you can get a timely portfolio, research information and tailored content for better investment plans. 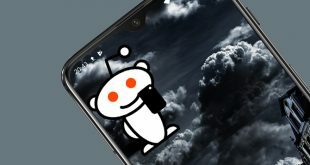 Other features include watchlist, extensive field options, and market insights, built-in news and video feed of global events, and quick access to customer support. Price: The app is free. However, to you use Fidelity Investment, you need to pay a one-time registration fee of $4.95. If you are a beginner or just want to trade in small amounts then Stockpile app is for you. In fact, Stockpile is made specifically so that people can invest in small amounts. The app makes it possible by allowing you to buy fraction shares. In case you don’t know, rather than buy one full share that costs you around $100, you can buy 0.10th part of the same share for $10. With small and regular investments, you can slowly but surely build your portfolio. 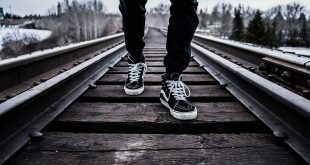 Being a beginner friendly app, the app walks you through each and every step so that you can learn the ins and outs in dealing with the stock market. There are no monthly fees with Stockpile but you need to pay 99¢ on trade. Schwab is designed with professionals in mind but can be used by anyone as long you have sufficient experience in dealing with stock trading. The apps has built-in news analysis, watch list, real-time quotes, ability to deposit checks to Schwab bank, manage brokerage, make bill payments, etc. When it comes to trading, Schwab charges no fee as long as you stick to the instruments found in the No Transaction Fee list. If you want to trade outside this list, it costs you $76 for the transaction. Also, you need to have a minimum of $1000 in your account to get started with Schwab. Plus500 is mainly targeted at the European market and you can trade with a variety of instruments like stocks, options, ETFs, Cryptocurrencies, Forex, Indices, Commodities, etc. Just like the other stock market trading apps, Plus500 gives you real-time market quotes and detailed charts to analyze the market situation. You can also trade in cryptocurrency like Bitcoin, Ethereum, Litecoin, etc. The best feature of Plus500 is the demo mode where you can practice trading and get familiar with Plus500 user interface before moving to the real stock market. Though Plus500 has no transaction fees, you are charged €10 fee if you are inactive for a certain period of time and the minimum deposit is €100. Not every one of us is looking to buy or sell stock and other instruments on our phone or tablet. Sometimes, it’s just enough to have a good app that can create a portfolio and has options to keep it all together. My Stocks Portfolio is one such app. Using My Stocks Portfolio, you can create multiple portfolios with stocks, equity, funds, ETFs, etc. The provided charts are detailed and are quite useful in tracking your progress over time. 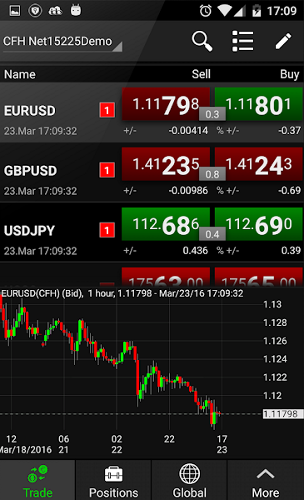 The app has a built-in currency converter and options to get Forex exchange rates. If needed, you can add widgets of your portfolio on your home screen. 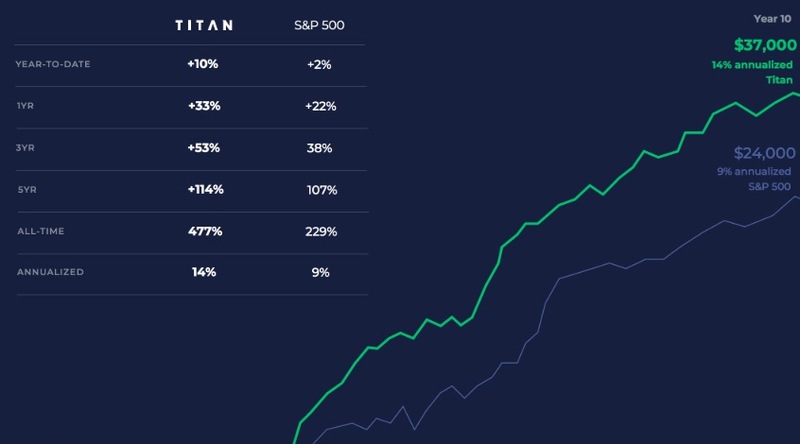 Titan is not exactly a stock market app. Rather it’s an investing app that automatically invests your money like the hedge funds. So, if you are looking for ‘set it and forget it’ app, Titan is a good choice for you. The way it works is pretty simple, you have a minimum of $1000 in the app, and the app charges you 1% of your assets per year, with no lockups or anything. The iOS version of the app has a sleek interface, and recently launched for Android this month. Overall, if you are looking for zero-commission stock market app go for Robinhood. And if you are looking for an app that automatically invests your money, Titan is a good option. Hope that helps. Comment below sharing your thoughts and experiences about using the above stock market apps to buy and sell stocks.